If you prefer relaxed dressing when it comes to fashion, you'll love this easy pairing of a white crew-neck t-shirt and black overalls. You could perhaps get a little creative in the footwear department and spruce up your look with Eytys chunky derby shoes. 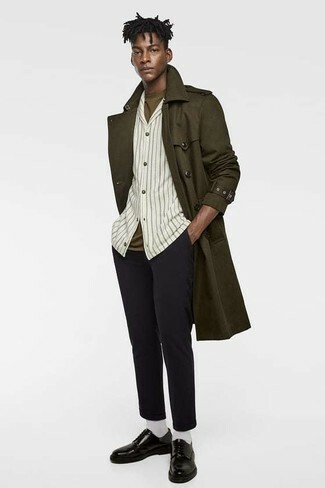 The combo of an olive trenchcoat and black wool chinos makes for a really well-executed ensemble. For a more sophisticated touch, why not complement this getup with a pair of Eytys black leather derby shoes? 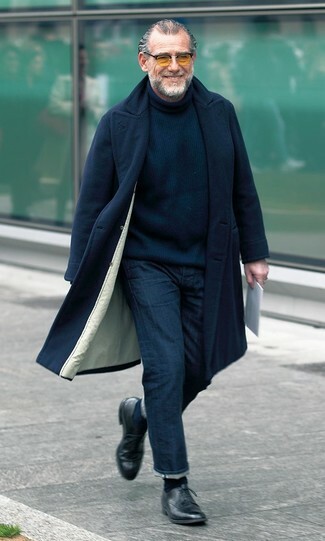 This combo of a black overcoat and navy jeans is so easy to pull together without a second thought, helping you look amazing and ready for anything without spending too much time rummaging through your collection. Kick up the cool of your getup by rounding it off with black leather derby shoes. Opt for a burgundy blazer and black dress pants for incredibly stylish attire. Break up your look with more casual shoes, like this pair of Eytys chunky derby shoes from farfetch.com. If you're a fan of practicality dressing when it comes to your personal style, you'll love this on-trend combination of a black quilted leather biker jacket and blue skinny jeans. 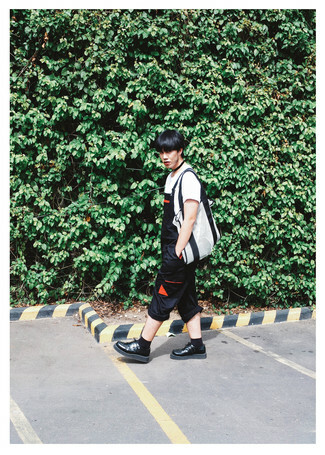 Bump up the cool of your getup by wearing Eytys chunky derby shoes. 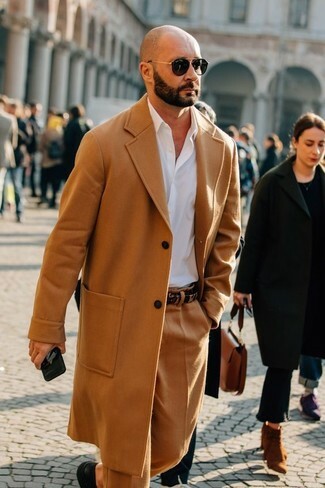 Consider pairing a camel overcoat with khaki wool dress pants for a sharp, fashionable look. For something more on the daring side to finish off this ensemble, rock a pair of black leather derby shoes. If you're a fan of practicality dressing when it comes to fashion, you'll love this neat pairing of a black and white print polo and light blue skinny jeans. Eytys chunky derby shoes will add elegance to an otherwise simple outfit. 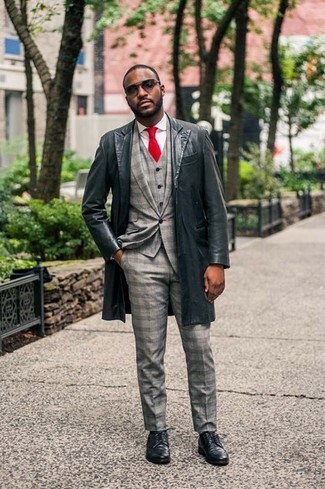 For a nothing less than incredibly stylish getup, marry a black leather overcoat with a grey check three piece suit. Want to go easy on the shoe front? 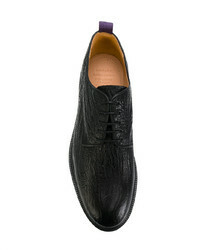 Make Eytys chunky derby shoes from farfetch.com your footwear choice for the day. For a nothing less than incredibly stylish ensemble, team a black suit with a white dress shirt. Opt for a pair of Eytys chunky derby shoes from farfetch.com for a more relaxed feel.